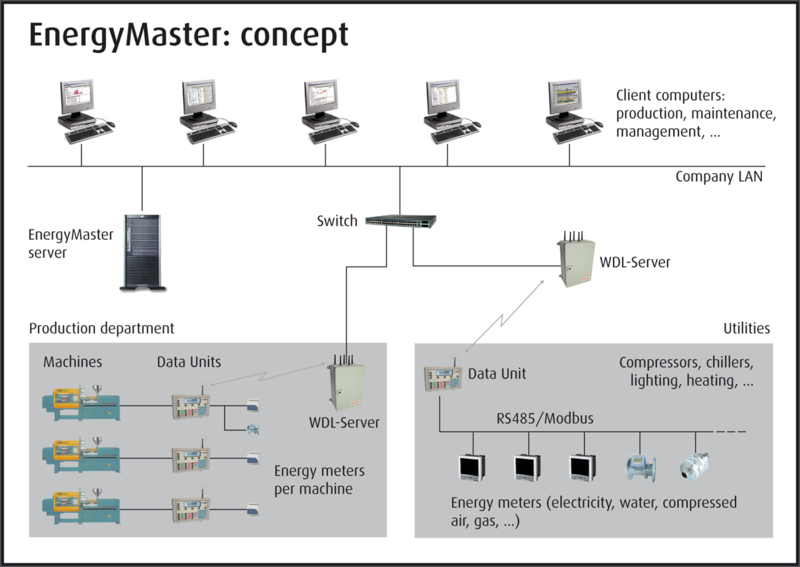 EnergyMaster is the BMSvision real time energy monitoring system. 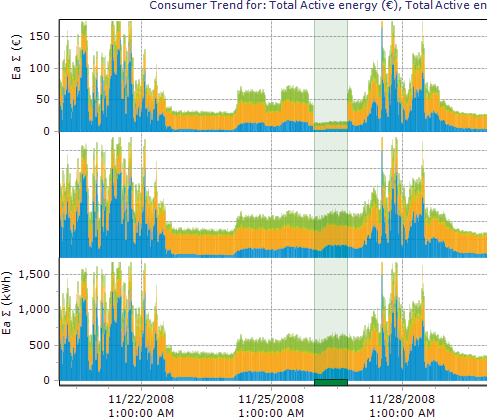 Following the principle of Monitoring & Targeting (M&T), it maps the different energy consumptions (electricity, gas, compressed air, water, steam,…) for further analysis and optimization. 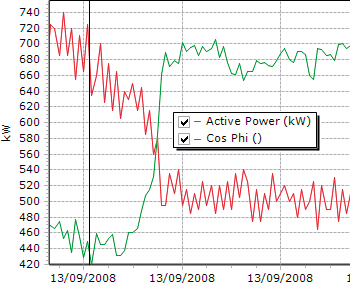 The integration with the BMSvision MES systems, provides a perfect insight between energy consumption and production. 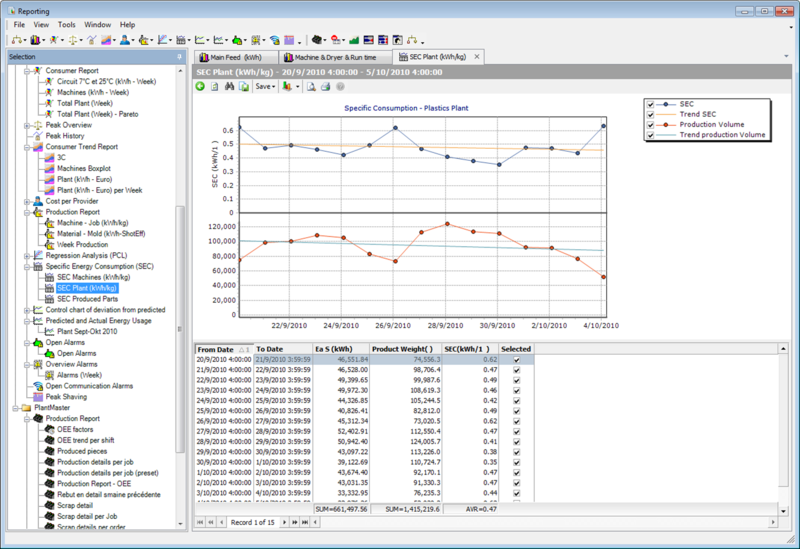 Consumer report for analysis of consumption by department, work centre,..
EnergyMaster Plastics - IT : Il monitoraggio dei consumi energetici consente importanti potenziali risparmi nella lavorazione delle materie plastiche.